An ex-Southampton FC employee who has been accused of abusing young boys at the club in the 1980s is still working in football, the BBC understands. The man, who has not been named for legal reasons, is understood to have left Southampton after concerns were raised about his behaviour - but is now employed by another football club. A former youth player has told the BBC he was abused by the man. He is the fourth to allege he was subjected to abuse at Southampton. The footballer was at Southampton for two years, between the ages of 14 and 16, in the 1980s, during which time he says a member of staff molested him. Now a man in his 40s, he told BBC Radio 4's Today programme that young team-mates were made to take part in games of a sexual nature. And he described the shame he felt as an adult looking back on what happened, saying he would dread going near the man. He said the club employee would inspect the boys while they were naked, deliberately touch them inappropriately while giving massages, and make them put their heads in his lap. He described a game in which young players were told to strip naked and expose their backsides in a contest, with the "loser" told to run naked around a tree. He said: "At the time I was 14 and we thought the weird games he made us play... was a laugh. But I would never dream of asking anyone to do it now, I'd be locked up. "He tried to assault me in a hotel room. I've sort of blocked it out of my mind. When it happened I just got up before he did anything, I got out of the room." He criticised the police and Southampton FC for not doing more to investigate what happened at the club. "I'm angry it's happening now and wasn't sorted out years ago," he said. "There's lots of failures in the system and he needs to be held accountable and he's scarred me. "I've been offered money to talk about this but I don't want money, I just want him behind bars." The BBC understands the employee left Southampton after concerns were raised about his behaviour towards the young players. He went on to work for other clubs, although the BBC understands he was asked to leave one of them. The man is again working at another football club. 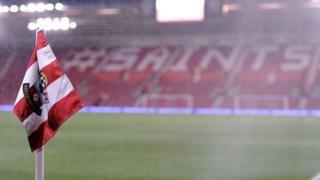 Southampton Football Club said it had contacted police after receiving information regarding historical child abuse and had offered its full support for any investigation. Meanwhile, former footballers Andy Woodward, 43, Steve Walters and Chris Unsworth, both 44, have launched a support organisation - called the Offside Trust - to support players who are victims of abuse and their families. On Thursday, former Southampton players Dean Radford and Jamie Webb alleged they had suffered years of sexual abuse by a former employee. A third player has spoken to the BBC but remained anonymous. Ex-Southampton manager Lawrie McMenemy said he was "shocked and disgusted" by claims of grooming and sexual abuse. On Friday, former Chelsea footballer Gary Johnson, who was a member of the first team from 1978 to 1981, claimed the club had paid him £50,000 to keep quiet about abuse allegations. He told the Daily Mirror he had been abused as a youth player in the 1970s by the club's former scout, Eddie Heath, who is now dead. Former Chelsea midfielder Alan Hudson has said on Facebook that it was "common knowledge that Mr Heath was a danger to us youngsters". Former England defender John Scales, whose clubs included Liverpool and Tottenham, told Today: "Football is a strange environment, the dressing room is a ruthless place where any vulnerability is a no-no because players would feel that they would be victimised, bullied, made a fool of, whatever. "There's all sorts of rumours that go round dressing rooms and players talk, but never once did I ever hear of a player talking about having been sexually abused as a boy coming up through the ranks at a football club." He said the only suspicion was about Crewe Alexandra FC which was at the centre of rumour and gossip. Gerry Sutcliffe, sports minister between 2007 and 2010, said there was concern at the time about how the Football Association dealt with governance of the sport and with youth development. Now, he said, an independent body, such as the Department for Culture, Media and Sport, should look at the issue rather than the FA investigating itself. "What I've seen in football over the years is that they're very narrow, very insular, and may not do a proper job even though with the right intentions," he said. The FA has said its review will be led by external lawyers and has not ruled out widening the investigation. 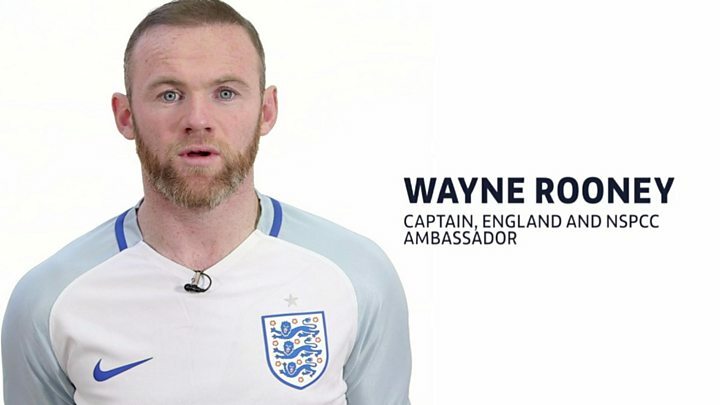 The captains of the England men's, women's and cerebral palsy football teams - Wayne Rooney, Steph Houghton and Jack Rutter - have taken part in a film about how to keep children safe in the sport. Ex-England captain Alan Shearer has said he has been "shocked and deeply saddened" by revelations of abuse in the game. A total of 350 people have come forward alleging they were victims and 55 football clubs are linked to allegations of abuse. A dedicated NSPCC helpline received more than 800 phone calls in a week. The line is available 24 hours a day on 0800 023 2642. Kent Police also said it had received reports which it was reviewing.